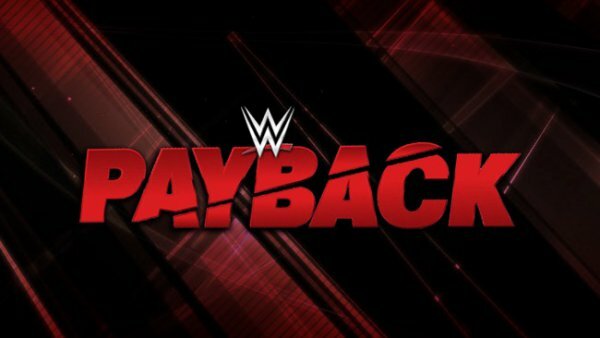 WWE Payback 2017: After Wrestlemania 33 this year, Payback is the first Raw PPV going to take place tonight. We have witnessed the WWE Superstar shakeup and Raw got a new general manager in form of Kurt Angle. He will make his appearance in the today’s show. All the Payback matches are listed on the card given below. It includes eight matches with four title fights and two Wrestlemania 2017 re-matches. Today, it is going to the first time when WWE fans will be able to watch the first ever House of Horrors match – Randy Orton vs Bray Wyatt. Braun Strowman def. Roman Reigns via pinfall! Watch: Daytime Emmys 2017 Live Stream. In the women’s division, Bayley has the main event and she will be defending er Raw Women’s Championship title against former SmackDown women’s champion Alex Bliss. Other title matches include Neville, Kevin Owens, and The Hardy Boyz. If Owens loses his United States Championship, he will arrive in Raw and Jericho will be able to take the same to SmackDown LIVE. Check: Daytime Emmy Awards 2017 Winners. Now at WWE Payback 2017 results, Seth Rollins has got his chance to take revenge from Samoa Joe who had injured his knee in the Wrestlemania match. Roman Reigns was also looking for an opportunity to take revenge from Braun Strowman. Now, he has got one. In Wrestlemania 33, Strowman flipped the ambulance carrying Reigns. Since then, he hasn’t been seen much. He will be returning after quite some time. Check: Donald Trump Rally 100th Day: Highlights. Apart from the main card eight matches, Finn Balor has a special interview with The Miz and Maryse on Miz TV during the pre-show. In addition to the above superstars taking the interview, other stars like Universal Champion Brock Lesnar, intercontinental champion Dean Ambrose and former women’s champions Sasha Banks will be absent from the PPV. WWE Payback will be live streamed on the WWE Network. The Kickoff show starts at 7 pm ET and the main card matches start at 8 pm ET. It will have a live telecast from the SAP Center, San Jose, California. Kickoff stream will be avaiable at the following places. Following devices supports WWE Network. What are your final thoughts, views, and predictions? Who do you think should win? What would be the upcoming storyline? Feel free to air your voice via commenting in the section provided. Stay tuned to TheReporterTimes for latest WWE news and other sports updates.